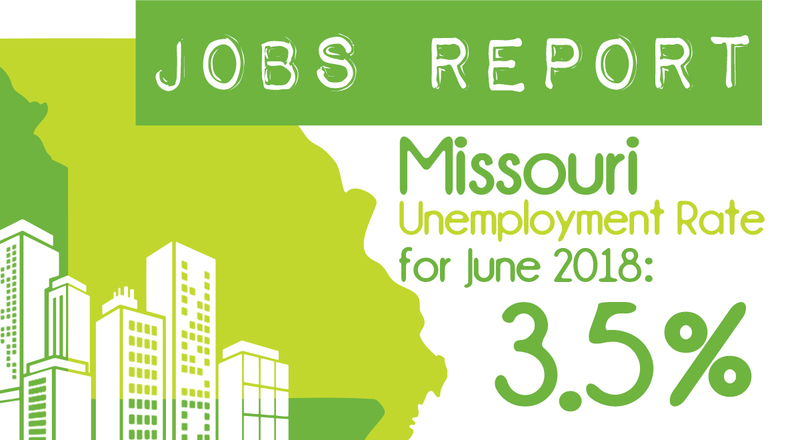 Employment in Missouri grew by 7,900 jobs in June, and the unemployment rate edged down to 3.5 percent. Missouri nonfarm payroll employment grew by 7,900 jobs in June, on a seasonally adjusted basis. This followed two months in which there was little reported change in employment. Since March, employment has grown by 9,500 jobs. The largest employment gains in June occurred in health care and social assistance (+3,800) and leisure and hospitality (+2,600). Most other reported industries showed some increase. The main exceptions were professional, scientific, and technical services, where employment decreased by 1,300 over the month, and retail trade, which experienced a 1,200-job drop. 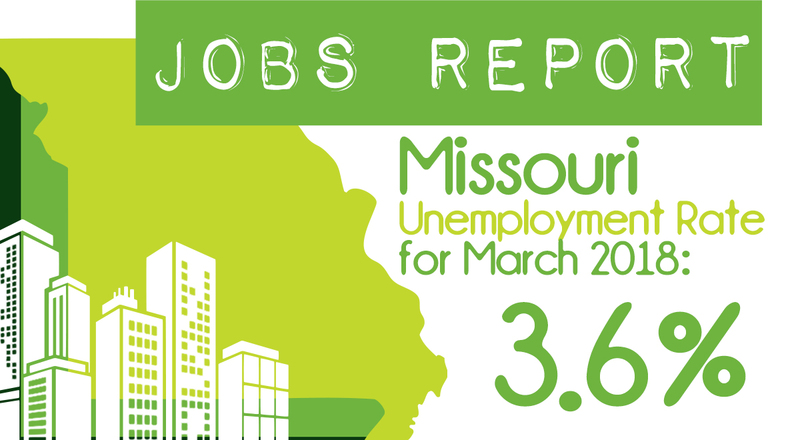 With the June increase, Missouri payrolls have grown by 34,300 jobs over the past year, a 1.2 percent increase. The largest gains were in health care and social assistance (+10,400); administrative, support, and waste management services (+6,900); and arts, entertainment, and recreation (+5,500). Most other industries experienced some growth. The only significant decrease was in construction, which has shed 1,900 jobs since June 2017. Missouri’s smoothed seasonally adjusted unemployment rate edged down a tenth of a point to 3.5 percent in June, the lowest rate since July 2000. The rate had been 3.6 percent in the previous three months and was 3.7 percent in June 2017. For comparison, the U.S. seasonally adjusted rate was 4.0 percent in June. 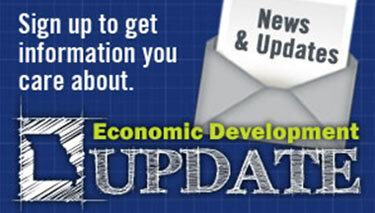 The Missouri rate has been below the national rate for 38 consecutive months. Missouri’s not-seasonally-adjusted rate was 3.5 percent in June, compared to the U.S. figure of 4.2.